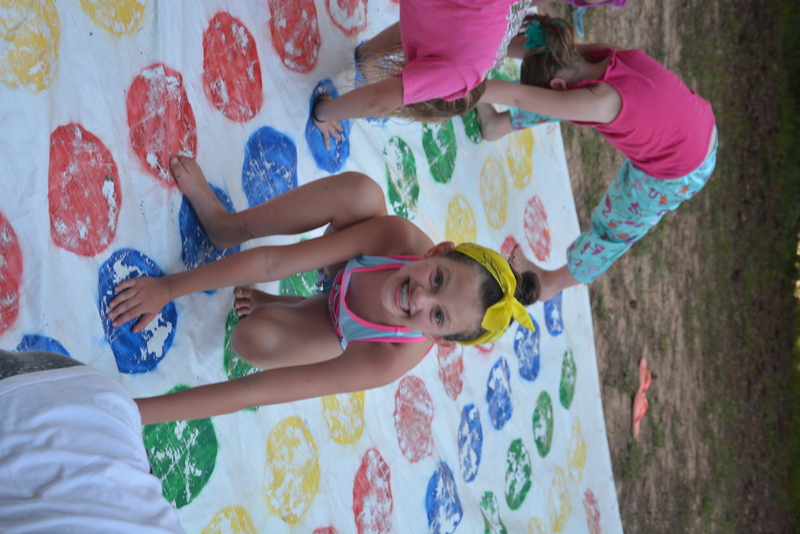 You can register your camper online, by calling the camp office with a credit card at 662.547.6169 or by mailing in the registration form available on the Forms page. Registration requires a nonrefundable, nontransferable deposit of $100/week ($200 for Rafting Trips). The cost varies depending on the specific program for which your camper is registered. Please select your desired program from the Camps menu to view Dates & Rates. Our price includes all expenses for room and board, activities, daily snacks from the Camp Store, a camp T-shirt and camp picture. There is an opportunity for families to purchase CRS merchandise and snacks on Sundays and Saturdays. How long do campers stay? For most programs, campers arrive Sunday afternoon and are dismissed the following Saturday morning. Day Camp runs Monday through Friday. Please see your confirmation packet letter for specific times. When are payment and forms due? All forms and payment are due one month prior to camp attendance. I lost my forms; what do I do? Don’t worry; all forms are available for download on the Forms page of this website. How do I look at pictures of my camper? A popular feature over the past few summers has been our photo gallery, which is updated throughout the week with photos from camp. 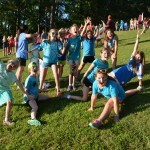 Our photo gallery partners with Quality Labs, offering you the ability to buy camp photos! Viewing the photos is free. Simply visit campoftherisingson.zenfolio.com. The password for your camper’s week can be found on your confirmation letter, or you can call the camp office to receive the password. You are welcome to share this password with family and friends so they can view photos from your child’s camp week as well. Can I send care packages to my camper? No, any packages received will be held in the camp office for you to pick up on Saturday. Campers love to get mail – send cards and letters, and encourage family and friends to do the same. We encourage you to send a letter before coming to camp so that your camper will receive mail early in the week. Or, you may drop off letters during Sunday registration that can be given to the camper throughout the week. Please do not fax letters to the campers through the camp office. 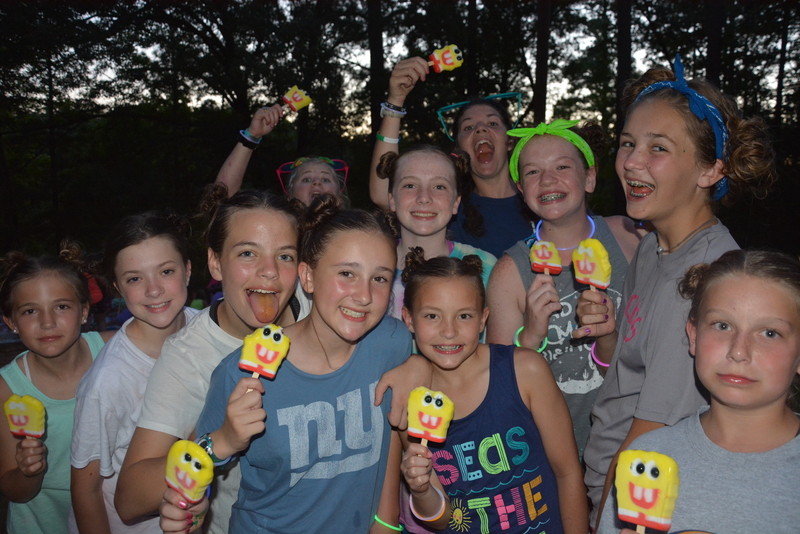 Children with a birthday during the current camp week may receive birthday packages (please do not include candy, gum or other food items – they invite ants into our cabins). Yikes! 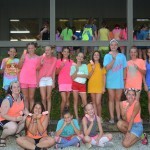 What does CRS do for campers having birthdays during the camp week? We consider birthdays a very special event here at CRS. When a camper has a birthday that occurs during the week that he/she is attending camp, he/she can expect to be a celebrity for the day. We provide a cake with candles at lunch, and the entire camp sings! Campers may receive packages on their birthday, excluding any items on the “What NOT to Bring” list. We guarantee to make your child's birthday one they will not forget. When do I pick up my camper? The Closing Ceremony is Saturday at 9:30 a.m. in the Lodge. We encourage you to make plans to join us! The camp store opens at 8:30 a.m. and has coffee and various treats available. Campers will return to their cabins for sign-out immediately following the closing ceremony. What if I need someone else to pick up my child? Your written permission is required for CRS to release your child to someone else. You may give this to us at check-in or mail it in beforehand. I am worried about my child becoming homesick; what can I do to help prevent it from happening? Do not tell your camper he/she can come or call home if he/she does not like camp. This actually contributes to homesickness and hampers the camper’s ability to adjust to camp life. 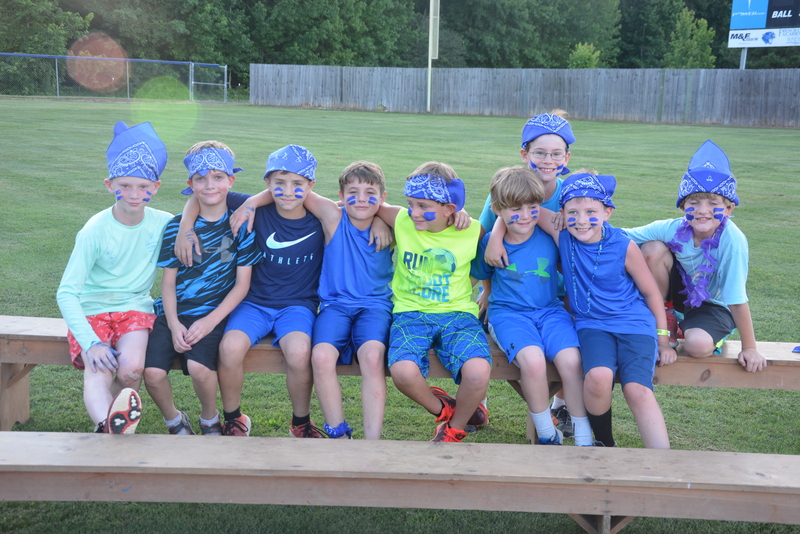 Our staff will contact the parents of campers experiencing above-average levels of homesickness. Also, if your child is not used to being away from you, give him/her some “practice” overnight stays with grandparents, other family members or friends. On check-in day, settle your child into the cabin and leave soon after. This helps prevent homesickness and encourages your child to bond with his/her counselors and cabinmates. Save tours of camp until Closing Day, when your child can share memories with you. Avoid sending letters that tell a camper what is being missed at home; instead, focus on the fun things he/she is experiencing at camp. Why are electronic devices such as cell phones not allowed at camp? At CRS, we have put a lot of preparation into planning a terrific camp experience for your child. Camp is a break from the distractions of electronics and a time to focus on nature, new friends and new experiences. Also, with the vast technology available on smart phones and other electronic devices, they pose a safety risk to our campers. Thank you for leaving these items at home. How do I keep my camper from losing items? We encourage parents to mark items with the camper’s name – especially towels, shirts, cameras, etc. Campers tend to lose unmarked items. We have partnered with Mabel’s Labels, a company with all types of labels that are colorful, indestructible and fun! Click here to check out their options. Can my child stay multiple weeks? Campers can attend up to three consecutive weeks at CRS. Over the weekend, these are our “stay-over” campers. We wash their clothes, and they are supervised by our camp staff. The weekend activities go at a slower pace to allow rest for the next full week of camp. Our "stay-overs" get to have a bit of a relaxed weekend with a smaller group (usually about 12) campers. We have a male counselor and female counselor who supervise the group over the weekend. They eat, swim, rest and play games. 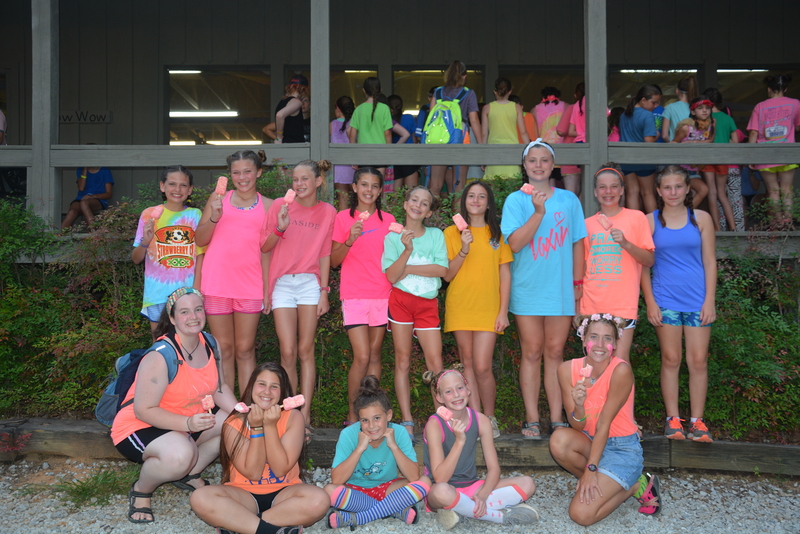 Our theme also changes each week, so in addition to being able to select different activities, campers staying a second week will find most of the nighttime events, skits, etc. will be completely different from their first week. Can I talk to my child during the week? We keep our campers very busy! 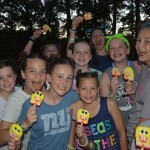 Campers are allowed to receive letters and Bunk Note e-mails from their parents. 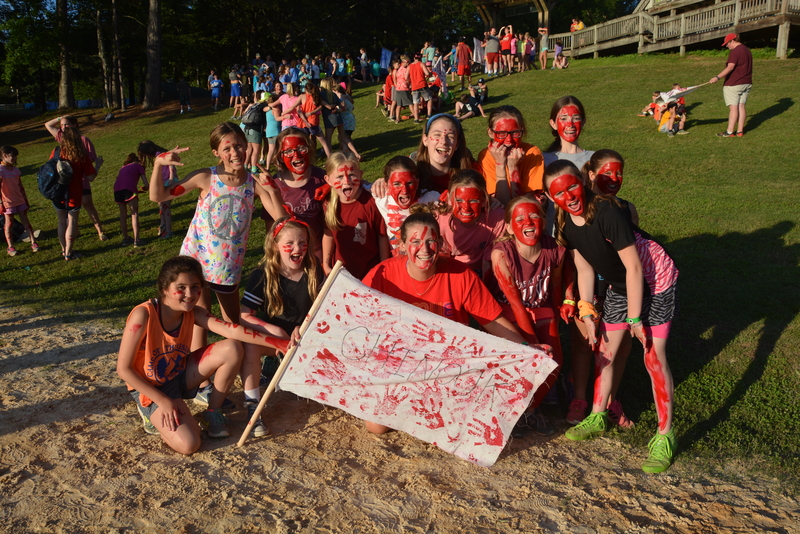 Parents are also able to view pictures of their campers throughout the week in our online photo gallery. Phone communication is not allowed, except for emergency purposes. If the need arises for you to get in touch with your camper, please contact the camp office, and we will assist you. The deposit of $100 per week ($200 for trips) due with registration is nonrefundable. Any other amount paid will be refunded if cancellation is received at least 2 weeks prior to beginning of the camp session. There is no refund for early dismissal, except for injury or illness requiring departure. How soon can I sign up for next year? Registration for next summer is available beginning September 1. Stop by our office to guarantee your space and receive our early-bird discount, available until November 1. Check the Parent Handbook for the What To Bring (and Not Bring) lists! Click here to download the What-to-Bring list. How do I sign my camper up for activities? Campers will sign up in person for their activities during our Sunday night event. This allows campers to become familiar with the various activities we offer, have increased control over their activity selection, order of their schedule, as well as be better able to coordinate their schedule with friends. Each camper participates in five activities daily. Check-in begins at 3:30 p.m. and closes at 5:00 p.m. Make sure to wear shoes appropriate for walking in the woods! Arriving at camp, you will be greeted by a staff member who will direct you to the luggage drop-off and parking. Note that parking opens at 3:00 p.m. Please wait in your car if arriving earlier—we’ll let you pull up to drop off luggage. No-show spaces are filled at 5:00 unless prior arrangements for late arrival have been made. What if my child has daily medications? Prescription drugs must be in the original containers and prescribed to your camper. They will be kept in our camp infirmary and dispersed daily by our camp nurse. Nonprescription drugs will be dispensed only under the signed instructions of a parent or physician. Keep medications out of campers' luggage and turn them in to the health supervisor during check-in. Please do not leave any medication in the cabin. The camp infirmary keeps a stock of commonly needed medications, so bringing nonprescription drugs is unnecessary. What if my child gets sick during the week? We will contact you if your camper requires more than 24 hours of rest in the infirmary or needs to visit the doctor. How do you handle bed-wetting? During staff training, our staff is taught to be very discreet about bed-wetting. It is handled as a private matter between a chief and the camper. Sheets are removed after the other campers have left the cabin. They are then laundered and returned to the bed before rest time that day. What is your cabinmate policy? We offer the option to request that your camper be housed in the same cabin as a specific friend. CRS guarantees to honor one mutually requested cabinmate within one grade of each other. Meeting and making new friends is one of the real benefits of camp! Cabin assignments are not revealed prior to check-in. How often is there biblical teaching? Biblical teaching is incorporated throughout our whole camp program. There is morning devotion, an afternoon Bible study and night devotion. 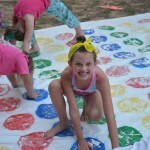 Campers have the opportunity to learn Bible verses in all of their activities. Friday evening, the CRS staff puts on a “Passion Play” depicting the life of Jesus. Our bunk beds are twin size. The under-bed clearance for luggage is 15 inches. How are campers divided up among the cabins? 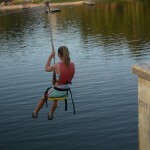 Campers are assigned to cabins based on their age and cabinmate request. If an older camper has requested a younger camper, the older camper will most likely be placed in the younger cabin. No, but each cabin has a ceiling fan and oscillating fan. The cabins are screened in so that campers get to experience the sights, sounds, and smells God’s creation. What does my intern need to bring to camp? Check-in begins at 3:30 p.m. at the Lodge front porch. The interns will jump right into their week at camp by helping out in various areas of our camper check-in. Parents with other campers, please check in your C.I.A. first. Where will my CIA be sleeping? The CIAs stay in a cabin that is the same as the camper cabins. Our bunk beds are twin size. The under-bed clearance is 15 inches. Can my intern drive herself to camp? Yes, interns are allowed to drive themselves. Car keys and cell phones will be turned in to the camp office during Sunday check-in and are then returned to the intern on Saturday checkout. Interns are a select group given the chance to view camp behind the scenes and participate in service opportunities. They will work closely with our staff and be challenged in their walk with Christ while still experiencing some of the traditional CRS fun! What is the capacity for CIA? Because of the intense set up for discipleship and service, the CIA program is limited to 12 girls and 12 boys each week. Specific weeks are dedicated to 13-14 year olds and others to 15-17 year olds. How does my teen register for CIA? The CIA program is admission by appication only. Applications will be availabe on the camp website beginning November 1st and the deadine is February 15th. What is the capacity of trips? Each trip has a maximum of 12 participants. 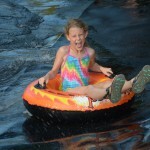 What does my child need to bring to rafting? Click here to download the What-to-Bring list. Check-in begins at 4:00 p.m. at the Lodge front porch. Each rafter and his or her parent or guardian must be present for the pre-trip meeting with the trip leaders and program coordinator, which begins promptly at 4:15 p.m. at the Owl's Nest. Note that parking opens at 3:00 p.m. No-show spaces are filled at 5:00 p.m., unless prior arrangements for late arrival have been made. Can I send letters to my rafter? Since the rafting trip leaves Monday morning and returns Friday night, delivering mail to them is not an option. However, you can pack notes in the luggage for a fun surprise! Can I send emails to my rafter? Camper email is not available to rafters due to the nature of the trip. When does my rafter leave and return to camp? The rafters leave early Monday morning and return Friday evening. Does my rafter need money? Rafters do not need money for meals, transportation or program costs. Many families do choose to send spending money for the purchase of souvenirs at the river outposts. This is optional. There is an opportunity for families to purchase CRS merchandise and snacks on Sundays and Saturdays. Can I send my rafter with an iPod or cell phone? Rafters spend the week “unplugged.” Please notice our “What NOT to Bring” list. This is essential to the purpose of our rafting trip. Today, many gadgets and games consume our time and attention. CRS believes it is important to take a break from that and focus on developing face-to-face relationships, learning team building skills directly applicable to your comfort (campsite preparation and set up), and exploring our world hands on! What company do you use for rafting? 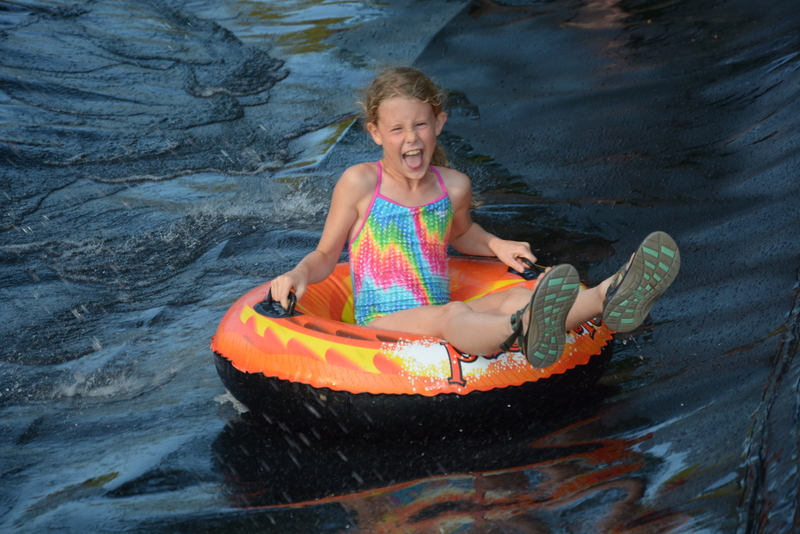 We use Nantahala Outdoor Center (NOC) for all of our rafting adventures. Where will my rafter be sleeping? Every night, the rafters will be camping in tents in gorgeous campgrounds. CRS takes safety very seriously. It is our top priority. All of our rafting leaders have been trained for the trips. Rafting, rock climbing, caving and repelling are all supervised by certified instructors. Click here to download the Parent Handbook. Check-in is from 10:30 - 11:00 a.m. at the Lodge. Make sure to wear shoes appropriate for walking in the woods! Upon arriving at camp, you will be greeted by a staff member who will direct you to the luggage drop-off and parking. Note that parking opens at 3:00 p.m. Please wait in your car if arriving earlier—we’ll let you pull up to drop off luggage! No-show spaces are filled at 5:00 p.m., unless prior arrangements for late arrival have been made. The closing rodeo is Saturday at 9:30 a.m. at the Riding Arena and Stables. We encourage you to make plans to join us for a demonstration of what your child has learned! Please do not come into the Dining Hall during breakfast. Campers will be released immediately following the rodeo. Luggage will be available for pickup at the arena. Where will my camper be sleeping? The Horse Camp attendees will stay in a cabin that is the same as the camper cabins. Our bunk beds are twin size. The under-bed clearance is 15 inches. Can my camper drive herself to camp? Yes, campers are allowed to drive themselves. Car keys will be turned in to the camp office during check-in and then returned to the camper on Saturday checkout. While we have a handful of support staff positions available for those ages 16 or older, our counselor and activity staff must be 18 and graduated from high school. Most definitely. $150/week if you are in high school and $225/week for college. Cha-ching! Will I have to pay for housing and food or is that included? Camp covers your meals AND your housing! Pretty cool! What other benefits do staff receive? A free place for laundry, discount at camp store, and even accident and illness insurance. On top of that your younger siblings receive a discount of $100 off a week of camp! That is almost as good as the new friends to last-a-life-time and crazy "never thought I'd do this" pics for your Social Media accounts! Counselors live with their campers in our rustic cabins (i.e. non-air-conditioned). Support staff are housed in the Memphis Guest House or other dorm style housing. Do I have to work the whole summer? Because our summer is only six-eight weeks we only hire staff that can work the full camp season. Can I bring my incredible chicken costume with me? You will fit right in at camp! Bring any and all costumes you have! We'll send out the summer's weekly themes in advance so you can get pumped! Where is camp of the Rising Son located? CRS is in central Mississippi just off of the Natchez Trace Parkway in French Camp, Mississippi. It might be hard to believe, but we have worked with several college programs so that staff receive credit for their work at camp! Check with your advisor to see if this is a possibility for you! Why should I work at camp instead of interning in my field? Bosses love to hire former camp staff because of the skills they learn at camp! Serving a summer at camp gives you on-the-job training in problem solving, work ethic, interpersonal communication, team work, and flexibility. Camp is a hands-on learning environment that not only provides deep spiritual growth, but invaluable life and job skills for any future career. Absolutely! Each week you will be off from Saturday afternoon to Sunday afternoon. In addition, you get approximately two hours of down time each week day. I'm on the fence, what is the best part about camp? We are a little biased because we love it all! But honestly, it is the people! The kids are amazing-they live life full out and look up to you learning from your words and actions. The fellow chiefs become "your people" as you walk through life's ups and downs and learn what it means to be a disciple. We are one big family who supports and encourages one another as God stretches and grows each one of us! 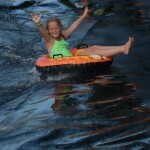 Camp of the Rising Son offers one-week overnight and day camp experiences for girls and boys age 6-12. Overnight camp gives kids the chance to build lifelong friendships, establish new skills and grow in self-confidence – all while deepening their faith and learning truth from God’s Word. 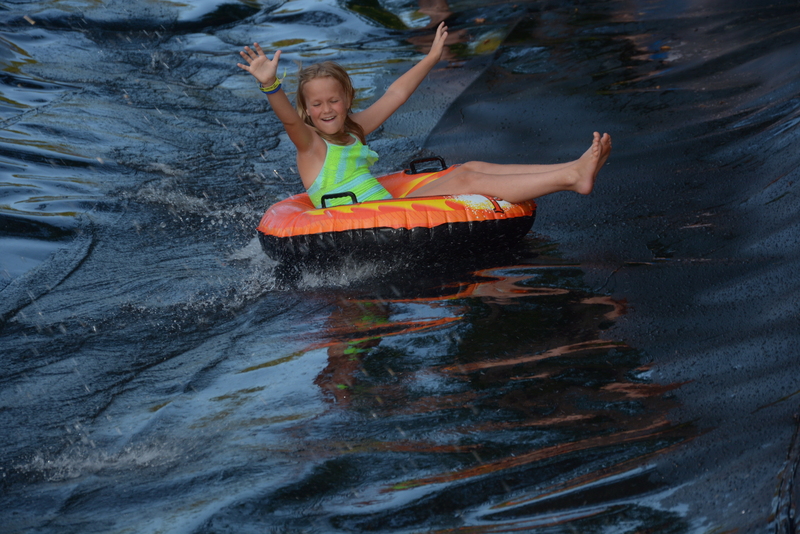 Campers live close to nature in our rustic cabins with up to 11 other campers and two incredible counselors. 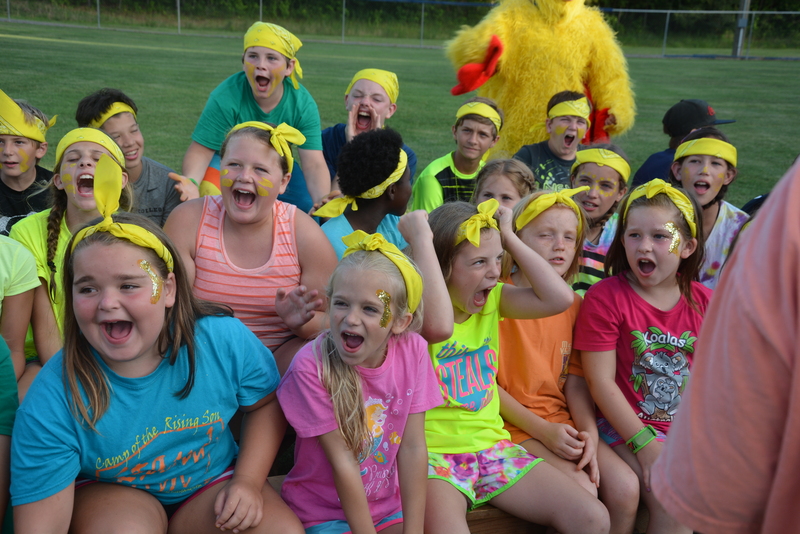 Each week camp is jam-packed full of excitement, activities, and fun. There are campouts, swimming, camp store, a water slide, Bible studies, skits galore and so much more! 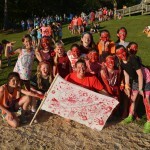 Every single week offers a new, fun theme to get campers involved and excited about the days ahead. From cowboys to explorers, spies or Amazing Race – you never know what is coming next! If you are local and looking for a fun experience for your child this summer but are not quite sure about overnight camp then our new and exciting Day Camp program is for you! Come experience all God has created in a new way as you travel together as a group to explore different activities such as nature, climbing tower, zipline, archery, crafts, water activities and more! Each day, there will also be a Bible and worship time as well as lunch and a trip to camp store. 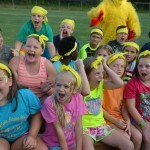 The activities at CRS get kids excited about coming to camp! Each camper creates their own custom schedule by picking the 5 activities they want to do from over 20 options--they can even sign up with their friends! Archery: Want to shoot like Robin Hood? Come test your skills at archery! Archery Sports: A cross between dodge ball, capture the flag, and archery. Learn new shooting skills and test your aim! Swimming Lessons: Swimmers beginner to advanced levels learn new skills and improve strokes under instruction of experienced aquatic staff. Free Swim: Cool off at the pool, make a big splash on our water slide, and play games or just chill with friends. Ropes Course: Conquer all four sides of our 30-foot climbing tower and ride the zip line. Grasp team work techniques with our group games and low ropes elements. Frisbee Sports: Learn the basics of throwing and catching a Frisbee and play Frisbee golf, Ultimate Frisbee, other fun games! 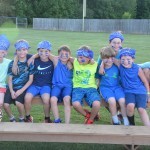 Mixed Sports: Have a blast playing team sports from soccer to flag football and pillo polo! 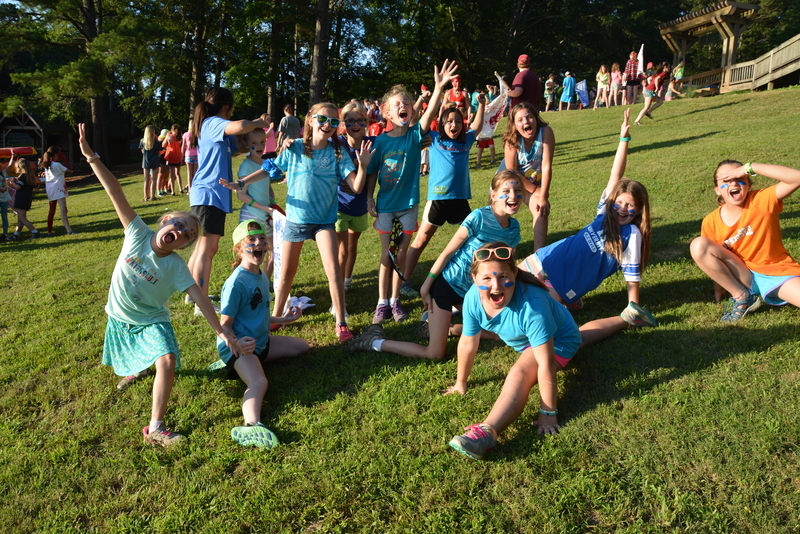 STUFF: Stands for Super Terrific Unpredictable Frenzy of Fun and that is exactly what campers have in this activity. The variety of games is endless fun for everyone! Arena Rides: Basic lessons in horse riding, grooming, care, and safety in our covered arena. Trail Riding: Learn proper riding techniques and horse handling skills while riding trails that crisscross camp property learning to ride at various gates. Canoeing: Criss-cross Lake Ann with your friends using your new paddle skills. Kayaking: Be the captain of your own boat while discovering all the nooks and crannies on Lake Ann. Sailing: Ahoy, Matey! Board our Sunfish sailboats and explore beautiful Lake Ann. 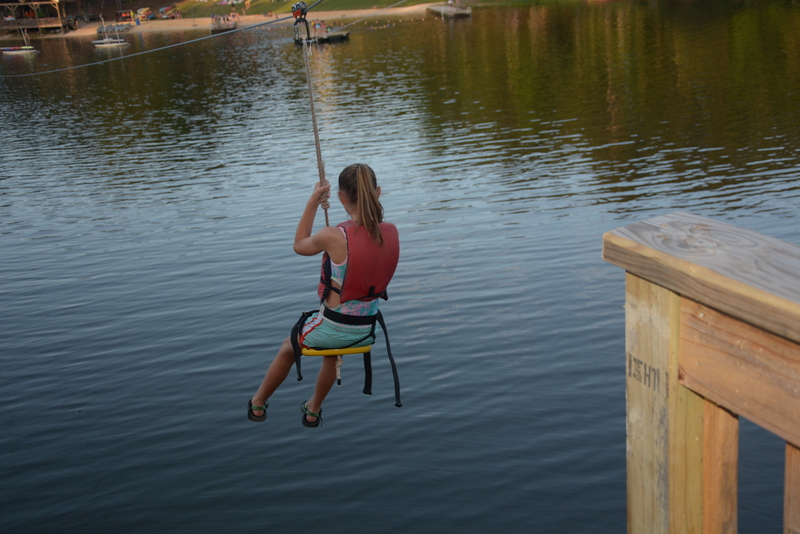 Waterfront: Splash in Lake Ann with your friends, hang out on the floating dock, and ride the water zip line! Camp Skills: Do you have what it takes to survive in the woods? Come test out your skills here! Fishing: Learn how to bait a hook, cast, and reel one in! Nature: Explore CRS trails hunting for leaves, insects, and animal tracks. Get hands on in God’s amazing creation! Newspaper: Extra, Extra, Read All About It! Be a staff writer for Smoke Signals, the weekly CRS newspaper and send everyone home with the news of the week! Art: Unleash your creativity using various mediums and techniques to make your very own masterpiece! Leather Crafts: Have fun creating unique crafts using leather, hammers, stamps, and dye. Pottery: Make clay creations from a “pinch pot”, to jewelry, and most anything you can dream up. Dance: Jazz, Hip-Hop, and fun! Campers learn group dances and coordination skills and perform for the camp on Friday. **Still have questions? Feel free to contact us!